My (former) roommate is a big fan of the Alien series, especially the classic first movie, and the really awesome video game, Alien: Isolation (I guess you could say I’m a fan too!). As a goodbye gift, I thought I’d create a really odd e-card: a bootable Linux flash drive with the same boot splash as computers from the movie, sound effects from the movie and game, and programs that look like the ones in the game. Everything turned out much better than I hoped, and so I thought I’d share the method and the result in a blog post! I’m an Arch Linux user, so when I think of creating a bootable Linux disk, the first thing that comes to mind is the archiso tool. This is the set of scripts that creates the bootable Arch Linux “installer” ISO image, and it can be customized for a lot of other stuff. I started my project by copying all of the scripts and configuration files into my own repository. I was able to find an artist’s reproduction of this image on DeviantArt, which I figured I could use (sans the watermark) as the boot image. Of course, to make it a boot splash screen, I had to use a special program, Plymouth. This tool, used on a number of Linux distributions, allows you to create a boot theme which is displayed instead of the console messages your kernel and init system would otherwise output. However, creating a theme requires either writing a C extension to Plymouth, or learning an arcane scripting language and writing the extension in that. I opted for the scripting language. More accurately, I followed a set of tutorials right up until the point where I had what I wanted. The result: plymouth-theme-nostromo, which is incidentally available in the AUR. At the beginning of Alien, the computer makes all sorts of beeping, whirring, and clattering noises. Since I really enjoy all of the sounds in the movie and game, I had to get these sound effects into the boot sequence as well! So, I found a video containing all of these sound effects on Youtube. The script just unmutes sound and then plays my startup sound. Of course, if you want to create a cool atmosphere, you need to more than just computer sounds. Another thing I wanted was to have some ambient “spaceship” sound. Another Youtube video provided this. I trimmed a portion of that and set it on a loop in another bash script, and then created another systemd unit file for that. Again, I hooked it up to a systemd unit file, and I was set. Now, what to do once the flash drive actually boots? 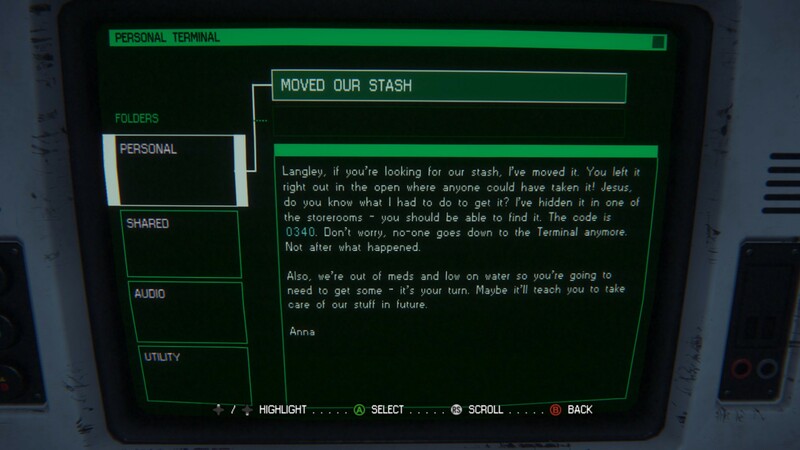 In Alien all of the computers are stylized with green text on black background, on CRT screens. 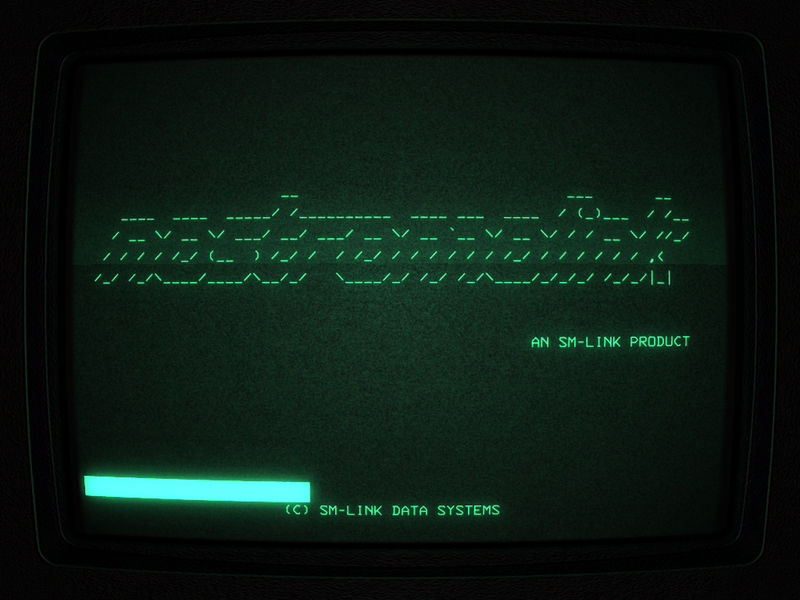 The default Linux console can probably be customized a little bit, but not enough to resemble the movie. So I decided to go a different route. 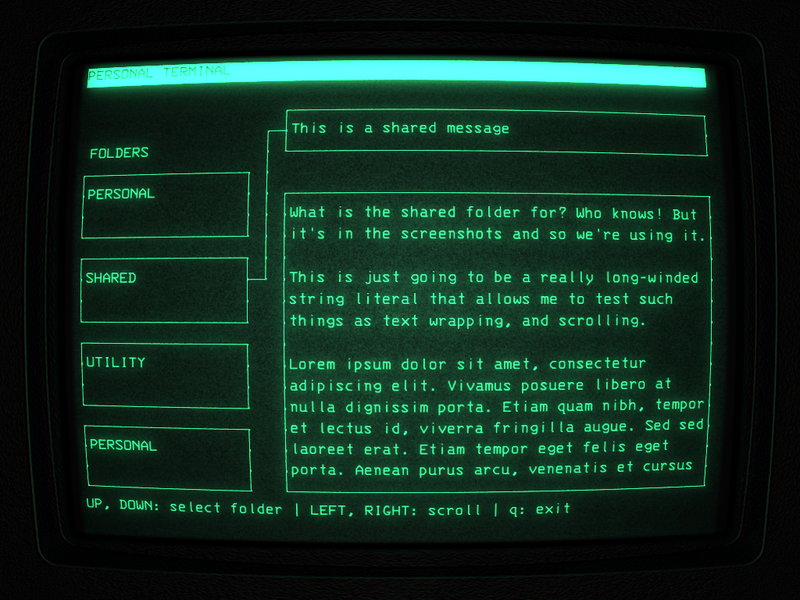 While cool-retro-term is customizable, getting it to use my custom theme at launch turned out to be a hassle. There is a theme export function, but no command line option for specifying an exported theme to load at launch. So, I decided I would simply configure it on my computer and copy all necessary “local storage” files onto the ISO. I used strace to locate the (rather well hidden) sqlite configuration database, and included it on the ISO. Since Arch CD’s normally boot directly to the console, and cool-retro-term is a graphical terminal emulator, I had to figure out some way get the computer to go directly from the boot splash screen into the cool-retro-term. This, of course, requires an X server, and maybe a window manager or desktop environment. Plus, for a seamless transition, startx won’t work (it displays the Linux console first). So I also needed a display manager which I could configure to automatically log in. To auto-start cool-retro-term, I popped a little script into ~/.config/openbox/autostart which starts cool-retro-term in full screen. My bashrc also included some “initialization” messages to make it seem like the computer could “control” flight systems of the Nostromo. The finishing touch for the alien-console program was to make it play the same startup sounds that it does in the game. I hoped that I might be able to find a Youtube video containing that sound effect, but a few minutes of searching turned nothing up. Since I happen to own the game, I was able to dive into the installation folder looking for the sound effects. I found a directory full of .wem files, which turns out to be a proprietary (Wwise) audio format for games. It turns out there is a script to convert this format to .ogg, which I then converted to .wav. Of course, there were thousands of sound effects, and they were all unlabeled! So, to browse through the directory quickly, I wrote up a quick script that automated file conversion and let me skip from file to file with the Enter key. I also sorted the files by increasing file size (since the startup sound isn’t long compared to dialog). After a good 20 or 30 minutes I managed to find the right sound effect! I don’t really want to distribute assets from a paid video game, so I’m not going to post it. I wish there were some easier way to show this off online, because the result exceeded my expectations. You can download the ISO, and you can also look at my repository to see the source code. Maybe I’ll figure out a way to take a good quality video and post it here. Doesn’t work particularly well in a virtual machine… just put it on a USB and try it out! Check it out if you have the chance!